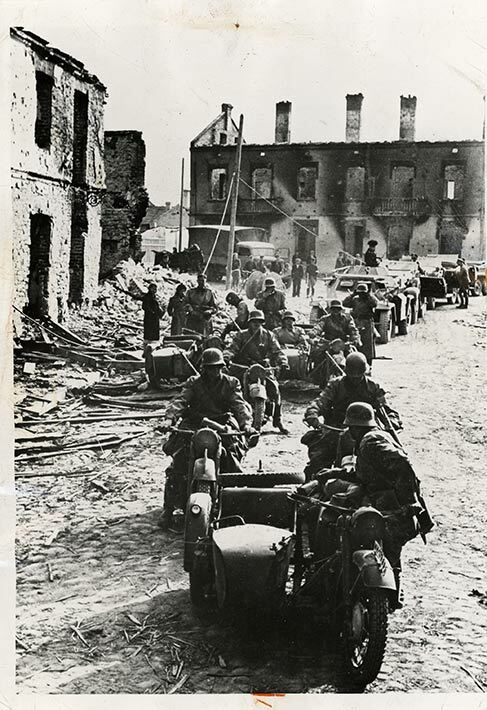 A motorized detachment of the invading German army rides through a Polish town, badly battered from repeated bombings by the Luftwaffe. Known as the September Campaign, the invasion of Poland marked the beginning of World War II in Europe. bombings by the then-powerful Luftwaffe.